SPRINGER began its extensive recruitment services with its strategic expansion to Hong Kong and China markets in 2012. The company offers comprehensive recruitment services ranging from Executive Search, Permanent Recruitment, to Recruitment Process Outsourcing and Staffing services. SPRINGER was founded and recognized on the basis of professionalism reflected by its tailored services to clients. SPRINGER’s team seizes the opportunity to outperform in recruitment within Hong Kong, with clients that include multinational corporations, local companies, and rapidly growing enterprises. SPRINGER’s vision is to be the most competitive recruitment company. To achieve its vision, SPRINGER has always followed its core values—professionalism, aggressiveness, and passion. Through these core values​​, the company provides the most tailored services to clients and applicants alike. In line with this commitment, we have the confidence to provide clients and applicants with the best matching solutions to meet specific needs and demands. 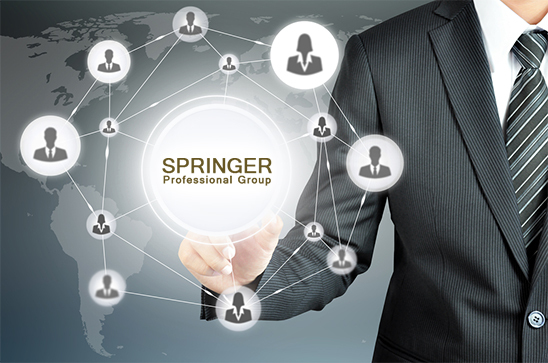 Why does SPRINGER choose professionalism, aggressiveness, and passion be its core values? SRPINGERS calls it “PAP”. Passion – SPRINGER inspires its employees to achieve their fullest potential. The company actively engages in building long-lasting relationship with mutual respects to clients and candidates. Aggressiveness – We proactively research potential candidates to clients. We also approach and connect suitable opportunities to our candidates. Professionalism – To be a recruitment expert in dedicated sectors to provide professional judgment and advice.